Zantrim is a food supplement manufactured in Britain by eBody and the company makes some pretty outrageous claims for the product. For one thing, they state it contains ingredients that have been “championed by the European Food Safety Authority (EFSA)”. Taking things further they claim it’s the most effective supplement available today. The truth of the matter is, Zantrim does contain a few good ingredients but, to our knowledge, none of them have been “championed” by the EFSA and the fact that so many customers state the product failed them suggests it is a product that has, at best, a hit and miss success rate. Positives: Some good ingredients in the formula. Negatives: Contains a lot of ingredients. 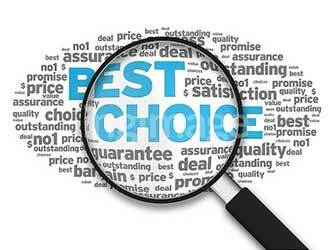 In our opinion there are better products that will give you a better chance of success. What Is Zantrim and How Does It Work? Zantrim is primarily marketed as an appetite suppressing diet pill but it also contains ingredients that can boost the metabolism, may encourage fat burning, and should also provide extra energy. Caffeine Anhydrous (200mg): A stimulant that will be more than capable of providing the promised energy boost. Caffeine is also a proven fat burner, but this is quite a high dose. It’s about the same as what you could expect to get from a couple of cups of coffee. Kola Nut (175mg): The fruit of the kola tree. Kola nut’s only value as a diet pill ingredient is due to its caffeine content. This formulation already has more than enough caffeine, so this is a highly questionable inclusion. Green Coffee Extract (150mg): The chlorogenic acid provided by green coffee beans is good for boosting the metabolism and encouraging thermogenic fat burning. Unfortunately, green coffee beans also contain a small amount of caffeine, so this inclusion would have been better as a replacement for kola nut rather than one that is added in addition to it. L-Carnitine L-Tartrate (50mg): An ingredient that is sometimes added to bodybuilding supplements because it can be useful for improving post-workout recovery rates. Green Tea Extract (50mg): A proven thermogenic fat burner. Green tea is one of the best diet pill ingredients in the world but, like green coffee bean extract, green tea contains a small amount of caffeine. However, this is a very stingy dose. The potential of this formulation could have been greatly improved by reducing the caffeine content in favour of a higher dose of green tea. D.L. Phenylalanine (37.5mg): An amino acid. There is some evidence to suggest it may have hunger suppressing capabilities, but further study is needed. Conjugated Linoleic Acid (5mg): Usually just referred to as CLA. Some research suggests it has fat-fighting capabilities, but many supplements that supply CLA do so in doses of 3,200-6,400mg. The amount provided here is not enough to get the job done. Vitamin B6 (0.7mg): A popular energy drink ingredient. Chromium Picolinate (13 µg): A mineral that prevents insulin levels from fluctuating and causing blood sugar crashes that lead to urges for sweet food. The dose provided here is ridiculously low. Most supplements provide nearly 10 times this amount. Vitamin B12 (1.20 µg): Another popular energy drink ingredient. Usage Instructions – The usage instruction printed on the bottle state one capsule is required twice per day and both doses should be taken with water. However, the information provided on the official sales page states new users should only take one capsule per day and only increase the dose if the formulation is tolerated well. The on-site usage guidelines also state the capsules should be taken on an empty stomach, at least 30 minutes before eating, and advise a gap of at least six hours between doses. Zantrim customer feedback is mixed. A number of customers say Zantrim made them feel unwell. It seems possible the aforementioned issues could be due to the formulation’s high caffeine content but, whatever the cause, the formulation appears to have the potential to make some people ill so we suggest not using this product without a doctor’s approval. You can buy Zantrim directly from the eBody website. Alternatively, it’s possible to purchase it via Amazon and eBay. In all cases, the price is the same. There is no money back guarantee, but customers can claim a refund for unopened products they return within 14 days of receipt. Going back to the main claims made for this product, the presence of so much caffeine in the formulation should provide the promised “fast stimulation boost” and increase energy levels. It’s also likely to be the cause of the side effects so many customers report experiencing. Zantrim is very much a caffeine-driven supplement and it should be capable of boosting the metabolism sufficiently to encourage weight loss, but only if the pills are used in association with a low-calorie diet. However, the formulation is unlikely to have much effect on the appetite and we are not surprised so many customers are saying Zantrim does not work. People who can tolerate high doses of stimulants and are planning to use the product alongside a strict diet and regular exercise may see some benefit but, for the average dieter, our best advice is to stay away. We have reviewed and rated 100’s of fat burners, fat blockers, carb blockers and appetite suppressants and compiled our top diet pills list.